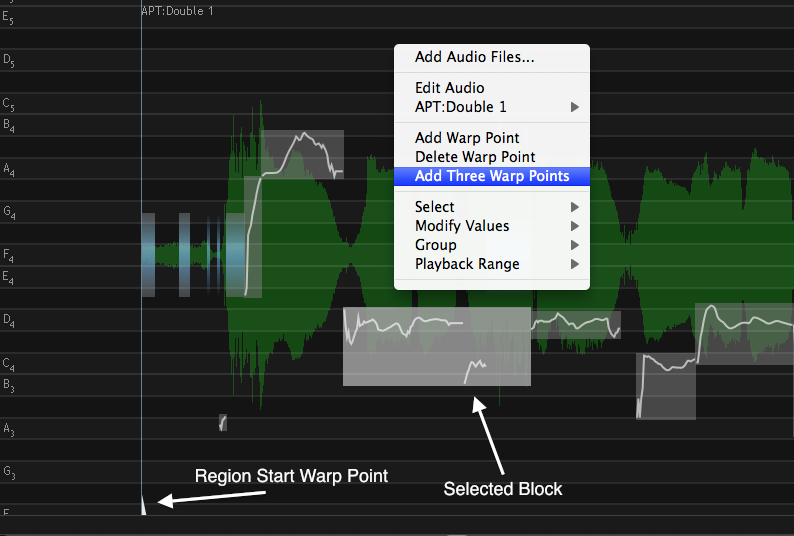 The menu that contains the commands for creating Warp Points will appear when RIGHT CLICKing in the Output of a Warp Process, a Warp Region, APT Process or Doubler Process. There are three simple Warp Point menu items: Add Warp Point, Delete Warp Point and, if a range of values is selected (such as the "Selected Block" in the picture above) Add Three Warp Points. If no range is selected, this last option is greyed out. If the Add Warp Point item is selected, a Warp Point will be added at the time where the mouse pointer clicked in the Track to bring up the menu shown right. Additional Warp Points can also be added or deleted using the Warp Point tool. Shift click to add a warp point anywhere. In case shown right, the mouse cursor was positioned to the right of the three Warp Points added previously, to add a new point, as shown by the red Warp Point. 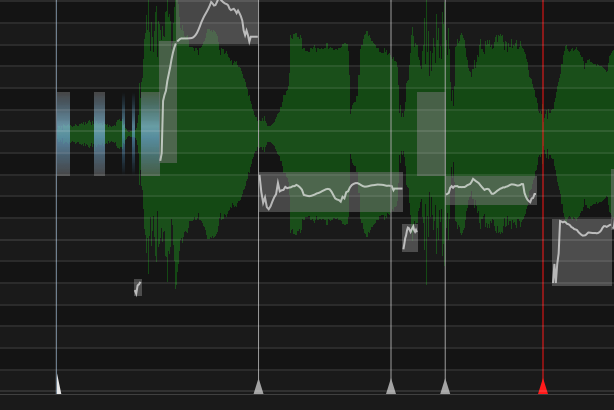 Moving that Warp Point to the right would linearly stretch the audio between the Warp Point to its left and linearly compress the audio between the moving Warp Point and the end Warp Point of the region.